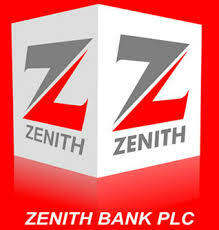 It has been a case of southern teams all the way in the final stages of the inaugural edition of NFF/Zenith Bank Future Eagles Championship taking place in Ijebu-Ode. As at Sunday afternoon, the South West U15 boys and their counterparts from the South East had emerged as the finalists for the competition for U15 boys, after four days of exciting football at the Otunba Dipo Dina International Stadium. In the U13 category, South East will slug it out with South South in the final. The two final matches are scheduled for the Onikan Stadium, Lagos on Monday. Perhaps the most interesting match of the final phase so far was the clash between the South East U15 and their counterparts from North Central, which ended 4-4 on Saturday evening. “With what I have seen here, I can make bold to say that the future of Nigerian Football is bright,” former Nigerian international and Assistant Director (Technical) of Nigeria Football Federation, Siji Lagunju, told thenff.com. NFF 1st Vice President Seyi Akinwunmi, who is also Chairman of the NFF Youth Football Committee, stated that the football has been largely fascinating, and expressed confidence that the competition will become bigger and even more competitive in the coming years.